You don’t have to speak Chinese, Russian, Spanish, or other languages to fix this problem. Launch Terminal, which is in the fifth menu from the left, labeled Utilities in English. The apps have icons next to them, and Terminal is a little rectangle with a prompt in it. After Terminal launches, type sudo languagesetup and press Return. You can then select the language to use. If you have a Keyboard menu at the far right of the screen, you can select the one with a tiny U.S. flag to switch to English. If all else fails, you can reinstall macOS by restarting your Mac and then holding down Command-Option-R. This will re-download installation files and prompt you for a language choice, while also upgrading the Recovery partition. 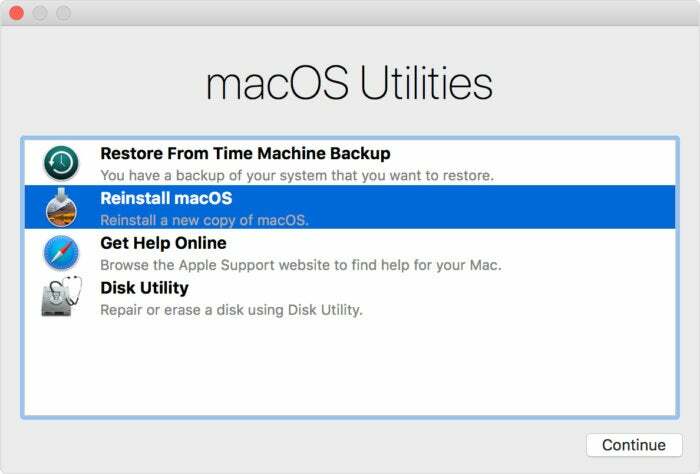 It won’t overwrite your hard drive, but installs in place the latest version of macOS that works on your computer. This Mac 911 article is in response to a question submitted by Macworld reader Curtis.